Rhubarb is a favorite ingredient in late spring and throughout the summer in the Midwest. I actually had never had it until middle school when we moved to the Midwest. Who really knows if it is a fruit or vegetable, but it is good! If you are unfamiliar with rhubarb, it is easily grown and is a perennial plant. It comes in a red (sometimes with some green) stalk, you discard the leaf and then chop it up to use in various recipes. It can be fairly tart, but is great in baked goods and pairs well with strawberries. I am lucky to have two hearty rhubarb plants and was so excited to see that they were both doing very well this year (after Matt accidentally mowed one down a couple years ago!). I finally got around to making my favorite recipe. It's an easy coffeecake, but comes out so moist and delicious! It doubles for dessert in our house and was perfect for breakfast for Father's Day! 1. Preheat oven to 350F. Grease 9x13 pan. 2. Beat margarine and sugar together until smooth. Beat in egg. 3. Add dry ingredients and liquid ingredients next and stir in. 4. Fold in rhubarb. Pour into pan. Mix sugar and cinnamon for topping and sprinkle over top of batter. Bake 40-45 minutes. Yum! My parents have tons of rhubarb at there house, we'll have to try this. i don't think i've ever had rhubarb!! but i love coffee cake, so i'm in! I tried rhubarb-flavored cappucino last month and loved it. It is different. The picture of that coffee cake looks yummy! P.S. Miss talking to you. Are you done with school yet? My husband loves rhubarb! Thanks for the recipe! I love me some rhubarb! I'm definitely saving this recipe! 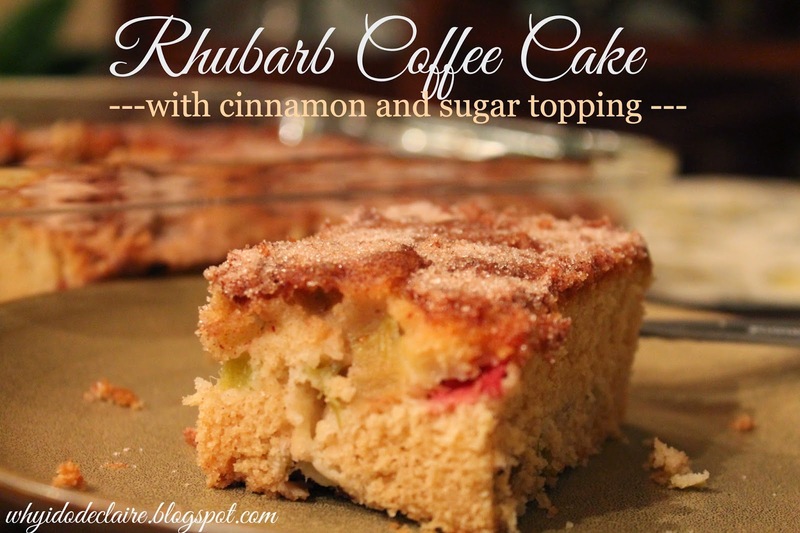 I haven't really ever had rhubarb, but I do love coffee cake, so I'd love to try this version! Yum! Those look so amazingly yummy!!! I've always loved rhubarb anything! It's just so so yummy :) Thanks for sharing! Yum! I will be making this, I was going to look for a recipe for the rhubarb you gave me, now I don't have to look! mmm this looks amazing! thank you for the recipe. That sounds delicious! 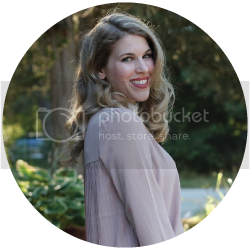 I love rhubarb crisp as well!